Welcome to The Outer Limits. In January 2019, The Music Society, Singapore (SGMUSO) will hold a festival to raise funds for the development of the local music ecosystem. The non-profit, music-first society has long supported artistry, business, and production by developing skills, advocacy, and creating opportunities and aims to raise $70 000 to further enrich and nurture the infrastructure and context in which Singaporean music is made. It's no surprise, then, that some of the most interesting and vital voices of Made In Singapore music will be on the festival's roster. Divided into three categories, Up and Coming Acts, which features rising names YAØ and ​​Houg, Comeback Bands, comprising returning heroes A Vacant Affair and West Grand Boulevard and The Light Show, an audio-visual extravaganza that will unfold as Sezairi, Caracal and Linying perform. All proceeds from The Outer Limits will be channeled into operational costs, skills and development programmes such as weekend consulting sessions, workshops and networking sessions, as well as organisational activities such as music export of Singaporean artists to markets beyond Singapore. This is a cause that is deeply and crucially vital to Singaporean music and art. Head over and be loud and proud. 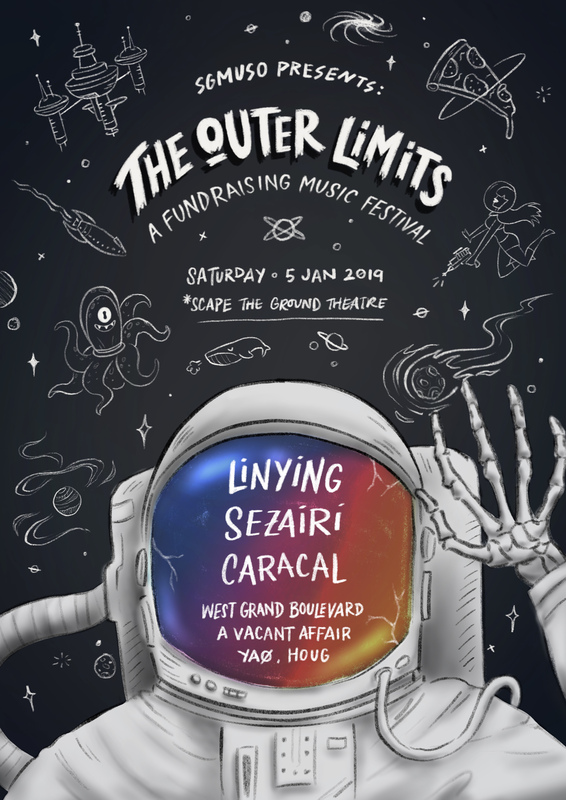 The Outer Limits happens on Saturday, January 5 2019, at *SCAPE The Ground Theatre. Tickets, $25 (early bird), ($30) regular ticket and $120 (bundle of 4), are available here. To make donations, click here.